The symposium takes place from 1st – 3rd April 2019 at the Humboldt-University of Berlin. I am pleased to present the program for our 5th International Symposium on Phenomenological Research in Education in Berlin. From now on it is also possible to register for the symposium. The registration form can be found on our website. Please note that all speeches and discussions will be held in English. I am looking forward to interesting speeches and discussions. 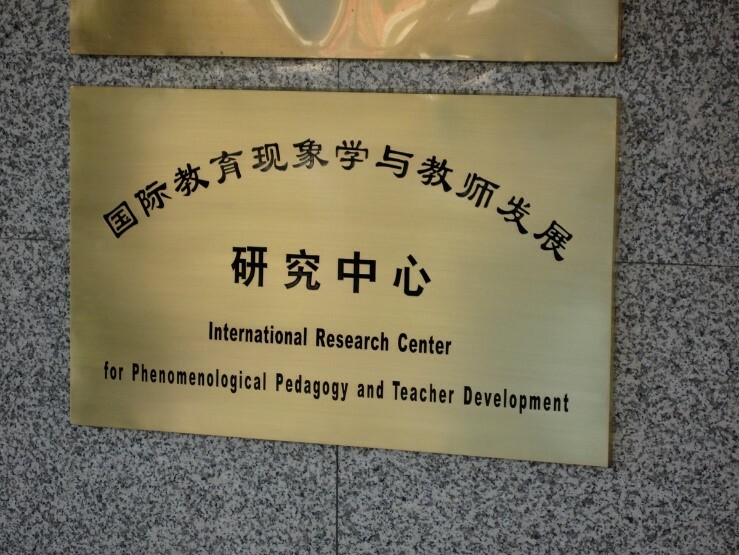 I learned astonishing things about the international spread of phenomenological pedagogy on a recent research trip to Beijing (China). I was invited to give a keynote at the 4. International Phenomenology and Pedagogy Conference “Circumstance of Phenomenology and Pedagogy: Self-consciousness and Reflection” at the Capital Normal University (CNU). For more than 20 years, there has not only been a strong phenomenological tradition but also an International Research Center for Phenomenological Pedagogy and Teacher Development. The center was founded in 2001 by Professor Hong Ning in close cooperation with Max van Manen. Besides Hong Ning, Professor Cai Chun and Professor Zhu Xiaohong are currently the directors of the center. In Beijing, there is a very interested group of lecturers and students. A number of phenomenologically oriented Masters and PhD theses have already been written. They deal with foundational-theoretical and methodological questions of education. In addition, the curriculum of teacher training in all subjects is phenomenologically oriented. It also includes impressive textbooks of phenomenological descriptions of teaching experiences with a focus on the pupils. Several Chinese colleagues will attend to our 5th International Symposium on Phenomenological Research in Berlin. I am looking forward to a productive exchange! Please see the recently published article in the Springer International Handbooks of Education (ed. 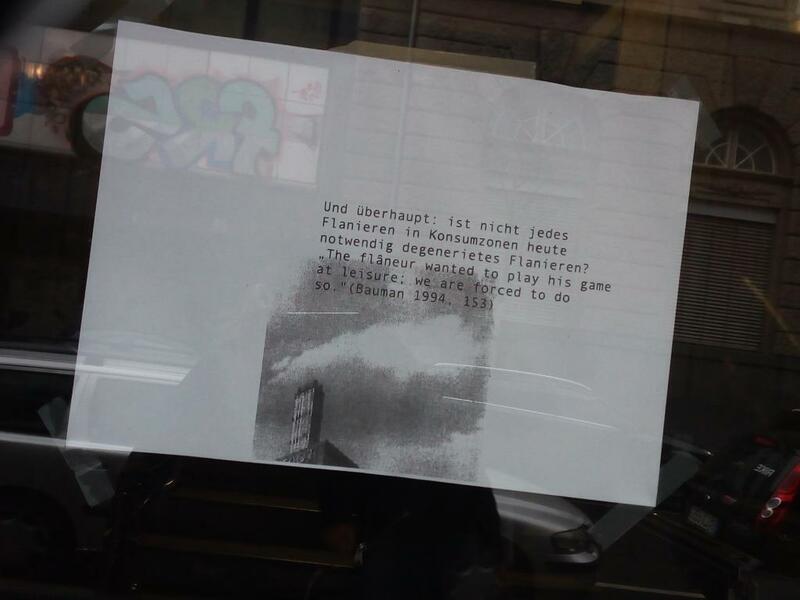 P. Smeyers). This article provides a historical and thematic overview of the most important contributions to phenomenology in German and English-language educational studies. In this context, phenomenology is important both as a theoretical tradition and a research method, in both cases directing attention to the experiential, relational and intersubjective dimensions of pedagogy, teaching and learning. In Germany, phenomenology as a method and as a philosophy has aimed at redefining traditional theories of education and Bildung (personal formation) in terms both empirical and theoretical. In the English-speaking world, phenomenology has been used primarily as a methodological approach to illuminate lived experience particularly in the caring professions including education; it has also occasionally provided possibilities for articulating theories of teaching and learning in close relation with concrete practice. “Like putting on a slipper or the now unfamiliar winding up of clockwork, many things demand a necessary, appropriate conduct, be it a corkscrew, the mobile phone, the car, the washing machine, the shirt with its buttons or the bottle for the infant” (ibid. p. 176). The demanding character of things shows that their significance to us only reveals itself in the context of the concrete situation. As part of the Gestalt-like context they point to something beyond themselves as well. Please find further information in the Call for Papers. For the first time, fundamental texts of a Phenomenological Philosophy of Education from its beginnings to today have been collected and published in this comprehensive volume. It provides an outline of structure, development and differentiation within the phenomenological movement in German pedagogy, regarding the fields: systematic pedagogy, philosophy of Bildung, learning and education, early childhood education, classroom research, special needs education as well as adult education. Phenomenological researchers have held a well-attended conference titled “Embodiment(s): Phenomenological ‘DoubleMovement’ between Educational Theory and Bodily Practice in Pedagogical Fields” at the congress “MOVEMENTS” of the German Educational Research Association (GERA). How can moved embodiments become the subject of research? Point of origin was the phenomenological perspective of embodiment as kinaesthetic movement, which, as relation of the lived body, is directed towards itself, others, material and imaginary objects as well as the intellectual sphere. Children, adolescents and pedagogues are in a bodily movement with and towards each other in pedagogical situations. They embody themselves in a shared movement, in which they respond to actions, objectives and claims of others. The contributions discussed the concept of embodiment as an interrelation of body and lived body in the context of cognition, language, sense and sociality. They took up the recent international discourse on embodiment with regard to neurosciences, poststructuralist discourse theory, hermeneutics, image theories as well as theories of pointing and gesture in the realm of cultural studies. In their presentation, “Embodiments: Embodied Dimensions of Communication between Pedagogical Professionals and Children in Day Care Facilities” Ursula Stenger and Uta Thörner demonstrated how pedagogical situations between professionals and children develop in response to pre-existent cultural structures and norms. Subsequently, the embodied-bodily communicative situation between professionals and children was interpreted as the development of a mutually shared world with regard to Merleau-Ponty and Nancy’s thoughts on sociality and corporeality. These embodied-social constitution processes were presented in the form of videos and video analyses. Malte Brinkmann presented a theory of embodied understanding (“Embodied Understanding in Pedagogical Contexts: Theory and Empiricism of an Inter-Corporeal Hermeneutics of Expression”). He pointed out that understanding as a pedagogical process contains an inherent logic regarding experiences within learning and educating – with a shift towards a perspective on lived-bodily and bodily-moved embodiment. Using examples from video analysis, he showed that understanding is an inter-corporeal practice of responsive embodiment, in which material and normalising aspects occur on the one hand and performative and singular aspects on the other. Denis Francesconi (Aarhus University) introduced the concept of Embodied Cognition Theory (EC) as a research programme between cognition theory and phenomenology. He subsequently adopted this perspective for the practice of mindfulness meditation as an embodied practice in teacher education. In his presentation, „Gesture, Atmosphere and Movement: Bodily Dimensions of Sociality in the Classroom” Severin Sales Rödel explored gestures and movements in the classroom as embodiments, in which teachers and pupils show themselves in a specific way. Using the practice of video analysis, phenomenological perspectives on atmosphere and situation have been suggested for a bodily- and embodied-theoretical classroom research. The high participation and manifold discussions showed that phenomenological perspectives are regaining attention within philosophy of education. A volume on “Embodiments” is in progress and will be published as part of the book series “Phenomenological Philosophy of Education”. In recent times, audio walks as a new artistic format of imparting and acquiring knowledge are on the rise in urban centres. These acoustic tours combine walking, seeing and hearing with the exploration of the city and information about its history or other topics such as architecture, typography, gender, body, time or ‘shopping worlds’. Audio walks are of interest for a phenomenological approach because of the particular way in which they address topics such as body, lived body, thing, materiality, individual, society, time and space through walking, seeing and hearing as well as feeling and tasting. With the help of an audio device (mobile phone, mp3 player, tablet) onto which an auditory manual and map of events is downloaded, the walk commences immediately. The format operates with the fact that every individual moves within the urban space and it aims at framing this habitual form of walking differently, so that perception and observation become more open. Thus, sight and hearing become alert to things undiscovered and hidden as well as to trivial, everyday occurrences. In walking and sauntering, the city becomes approach-able; things overlooked and ignored become tangible in walking. Although the experiential walk is accompanied acoustically, it is not guided throughout: in halting, lingering and pressing pause on the pause button, the walkers can choose new positions within and towards their environment and learn about historically and scientifically researched as well as biographically experienced urban history and histories of knowledge. Concerning its theoretical framework, concepts of art, cultural science and sociology, literature and philosophy regarding sauntering (see Walter Benjamin and Zygmunt Bauman) and walking (see Frédéric Gros ‘A Philosophy of Walking’, Jakob Flach’s ‘The Art of Walking’, Ilja Trojanow, Henry David Thoreau’s essay on walking, the works of Lucius Burkhardt and Bertram Weisshaar on promenadology and Gudrun M. König’s cultural history of walking) as forms of life are combined. Audio walk is suitable for individual walks of exploration as well as joint strolls through the city, since the bodily-embodied experience and the communication about things heard and seen (as well as tasted and felt) can co-occur. Audio walk as an experiential form of walking decelerates the pace, stimulates perspectives and produces sounds and voices beyond the hectic pulse of a city full of stimuli and noise. Michael Schratz is this year’s holder of the Fritz-Karsen-Chair of the Professional School of Educatioon at Humboldt-University Berlin. In his presentation Lernseits des Geschehens tobt das Leben, lehrseits herrscht die Didaktik he introduces the phenomenological oriented approach to vignette research for school pedagogy and pedagogical professionalisation.